Don't sweat it - not everyone's a natural-born money saver. But now that you've got a baby to consider, knowing how to budget is a definite must. 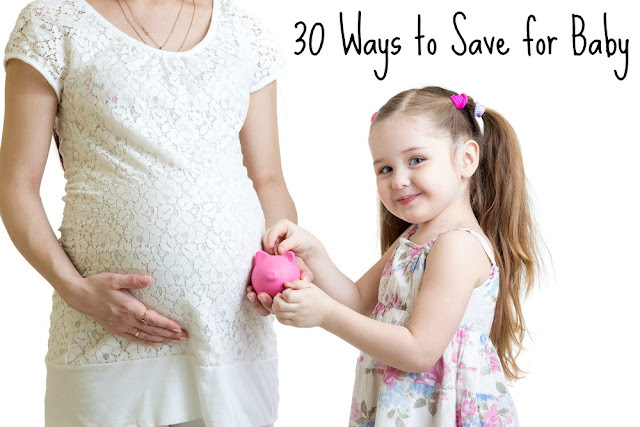 Luckily for you we've gathered together 30 simple-yet-effective ways to save for baby. Read over our list of tips and share some of your own below. 1. Buy secondhand gear and clothes. Consignment shops are often full of great maternity and baby clothes as well as gear and furniture. 2. Borrow a bassinet. Most bassinets can only be used until baby starts rolling over, so try to find one that you can borrow for those few weeks. 3. Hold off. If you aren’t sure which products will work best for baby (especially with bottles, pacifiers, even diapers), buy the minimum to start with, and then stock up once you know baby’s preferences. 4. Limit the tests. Not pregnant yet? Buy three pregnancy tests to keep on hand. If you have a larger supply, you’re likely to wind up with a trash can full of them. 5. Go easy on the starter diapers. Start with only one pack of newborn diapers. Baby may not even fit into them at the start, and he’ll grow fast. 6. Breastfeed as long as possible. The cost of formula adds up. 7. Pump. Again, formula can get expensive. 8. Formula feeding? Ask for samples. Be sure to head home from the hospital with samples and ask for samples at each visit to the pediatrician. Don’t be shy--it never hurts to ask. 9. Buy a convertible crib. A crib that converts into a toddler bed will definitely save you some cash over the years. 10. Do your homework! Research is essential to make sure you know which products give you the most bang for your buck. 11. Get mom to babysit. Family can quickly turn into your most valuable childcare resource. 12. Buy in bulk. You know you’ll need lots of some things--like diapers and formula. If you have the storage space, stock up to save cash. 13. Make your own baby food. When baby starts to eat solids, toss cooked veggies into the blender with a bit of liquid, and save the meals in ice trays--the money you’ll save makes it worth the extra effort. 14. Forget the comforter. Since baby won’t actually use it, it isn’t really necessary. 15. Get crafty. DIY projects take time, but they save cash and add fun personal touches. 16. Forget the fancy toys. Baby will be content with smaller price tags or spoons, pans, and cardboard boxes, for that matter. 17. Go without a changing table. Instead, top the dresser with a changing pad and add a few wall shelves for storage. 18. Cook. Eating out, ordering in, and frozen meals can eat up a lot of cash. 19. Search for sales. Find a product you love? Hold your horses. Shopping around for a better price can help you save enough for future splurges. 20. Reap in all the freebies you can find! Be sure to do your research and check out all the awesome freebies you can find! Free baby stuff is always welcome. If you browse websites of well-known brands like The Honest Company creates bundles for you to try the products you want. Just hop on it with your mailing address. 21. Get convertible gear. Like with furniture, items such as a car seat or stroller that grow with baby can prove invaluable. 22. Don’t buy lots of shoes. Before baby is walking, and some would argue the same for a while after, shoes won’t really be necessary. Socks will do to keep those tootsies warm. 23. Take care of your own physical and mental health. Keeping mommy and daddy sane and healthy can help you save on medical expenses. 24. Buy generic and less expensive brands. Does baby’s label really make a difference? She’ll only be in that onesie for a few months, so resist the urge to splurge. 25. Baby proof. Prepping your home to prevent accidents can help you save on medical costs. 26. Get a belly band. This awesome invention will keep you in your pre-pregnancy pants much longer, saving money on maternity clothes. 27. Wait on the maternity clothes until you really need them. Ignore the urge to buy maternity clothes just because you’re excited about being pregnant. 28. Borrow maternity clothes. You only wear them for a few weeks--find a friend who’s willing to pass hers along. 29. Save baby’s clothes for future siblings. If you don’t plan on more babies, donate the duds to help someone else save! 30. Try working from home. Lots of moms are able to balance part-time work with caring for baby--this way you don’t lose money to childcare and you bring in some extra earnings.